How Important is Foundation Crack Repair in Park Ridge, Illinois? A home without a strong foundation is a home that could experience serious structural damage at any moment. For this reason, it’s important that you keep close tabs on the structural integrity of your home’s foundation. Over time, as your foundation begins to settle, it will begin to experience deterioration and cracks will start to form. While some of these cracks will not be a cause for concern, others could present some serious problems. This is why, when cracks form in your Park Ridge home’s foundation, you should consider having them repaired by a professional water proofing company. Below, we will discuss foundation crack repair in Park Ridge, Illinois, focusing primarily on its benefits. Each crack that forms in your foundation makes the overall structure of your home just a little weaker. While a single narrow crack doesn’t indicate an impending collapse, it does have an impact. This is the primary reason that foundation crack repair is so important. Patching up cracks before they grow larger ensures the structural integrity of your foundation, allowing it to remain strong and thrive for as long as physically possible. Though small and narrow foundation cracks don’t require immediate attention, large and wide ones certainly do. Should you require foundation crack repair, a basement waterproofing company can help you fix it up. Where does all the water go after it rains? Into the soil. Where does the water go as it runs down through the soil? In many cases, it goes straight into basements. Groundwater generally makes its way into basements through cracks in the walls: foundation cracks, to be exact. The wider and more numerous the foundation cracks, the more water that they will allow into your basement. Fortunately, you can seal out a great deal of this groundwater by simply repairing the cracks in your foundation. If you’re not up to the task yourself, you can utilize the services of a Park Ridge basement waterproofing company. Moisture can be detrimental to basements in a few different ways. Having your furniture and possessions ruined by a flood is perhaps the most obvious detriments. On the other hand, one of the less obvious detriments is mold growth. Simply stated: moisture attracts mold. The more moisture that makes its way into your basement, the greater chance there is of mold growing within it. By patching up foundation cracks, you’re not only preventing flooding, you’re helping prevent mold growth as well. This has a number of benefits, from increased air quality, to a reduced chance of allergies, and much more. Just as every crack in your foundation compromises its structural integrity just a little more, every crack also slightly reduces the value of your home. After all, a deteriorating foundation isn’t much of a selling point. If you want to maintain (or even increase) the resale value of your home, it’s wise to have its foundation cracks repaired. Many buyers are willing to pay thousands and thousands more dollars for a home with a structurally strong foundation. In contrast, they’ll hesitate to pay anything at all for a home with a badly cracked foundation. In Need of Professional Foundation Crack Repair in Park Ridge? 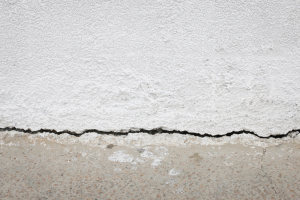 Do you have cracks in your home’s foundation? Are you in need of professional foundation crack repair in Park Ridge, Illinois? If so, the experts at ULB-DRY Waterproofing are the people to call. Over the years, our team of experienced waterproofers have fixed thousands upon thousands of foundation cracks throughout the Park Ridge area. We look forward to helping you maintain the structural integrity of your home’s foundation.